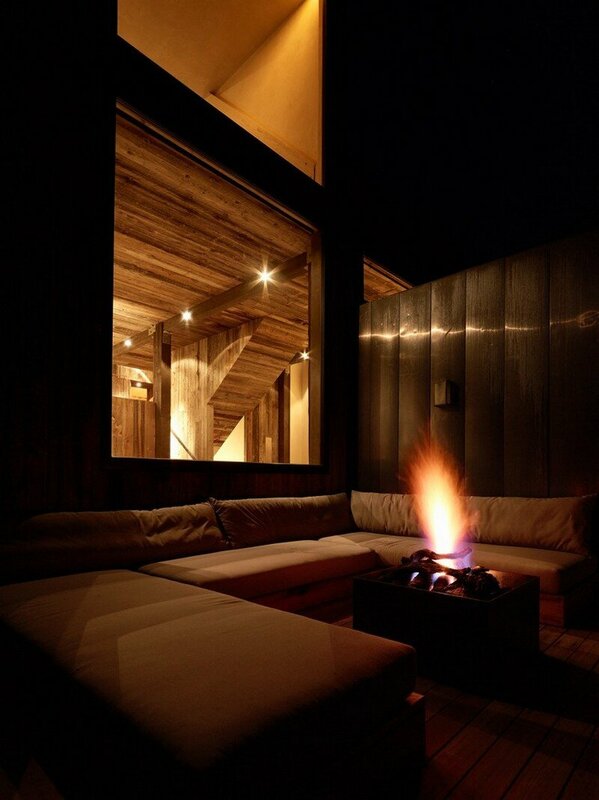 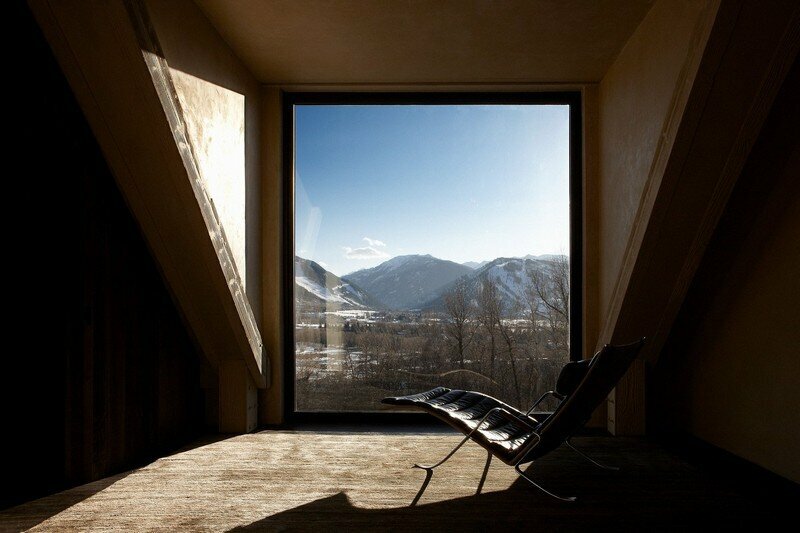 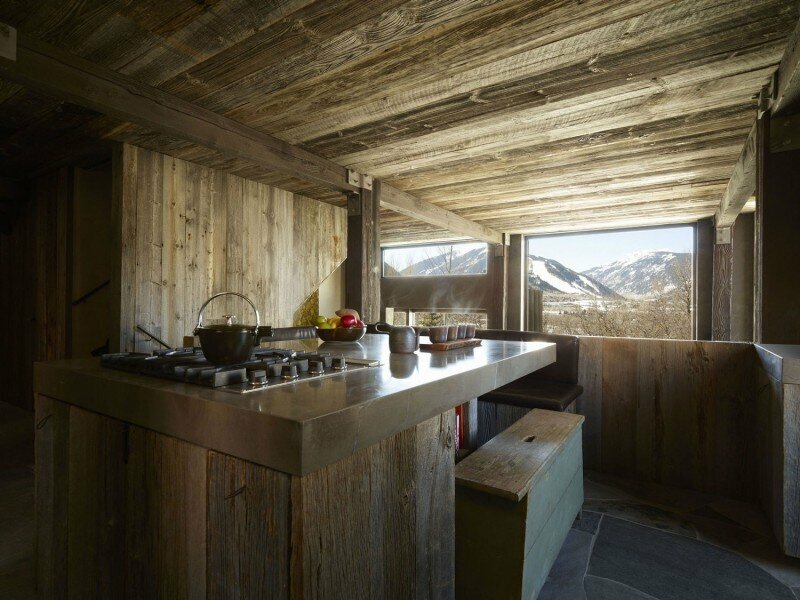 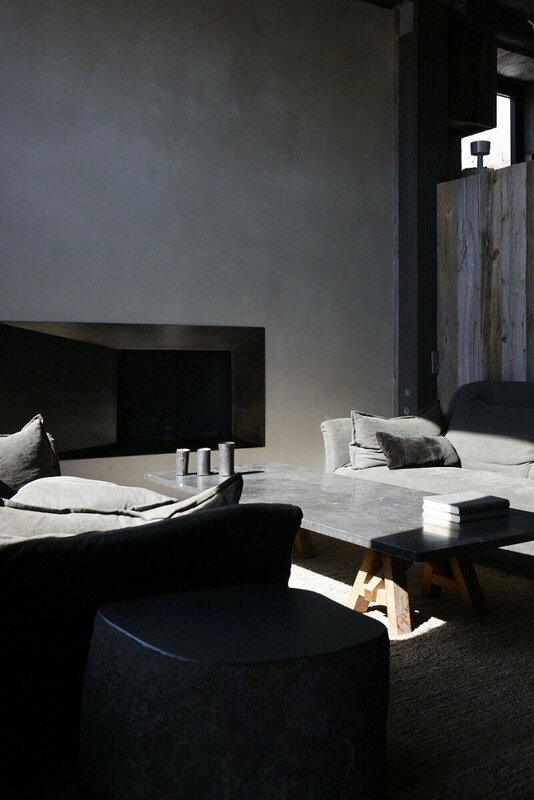 La Muna is a ski chalet completely renovated by Oppenheim Architecture. 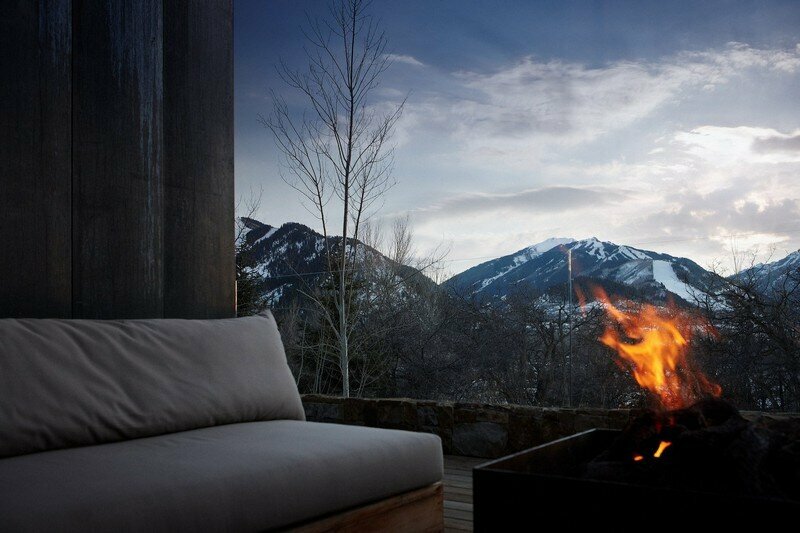 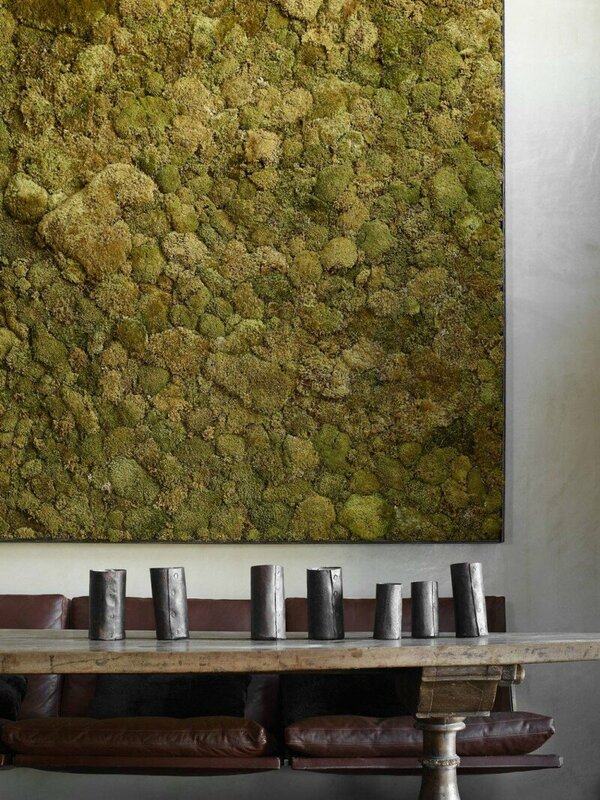 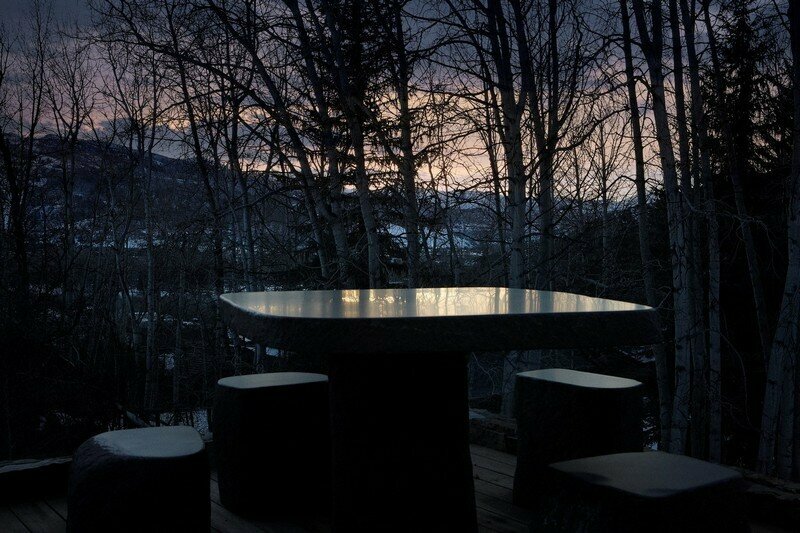 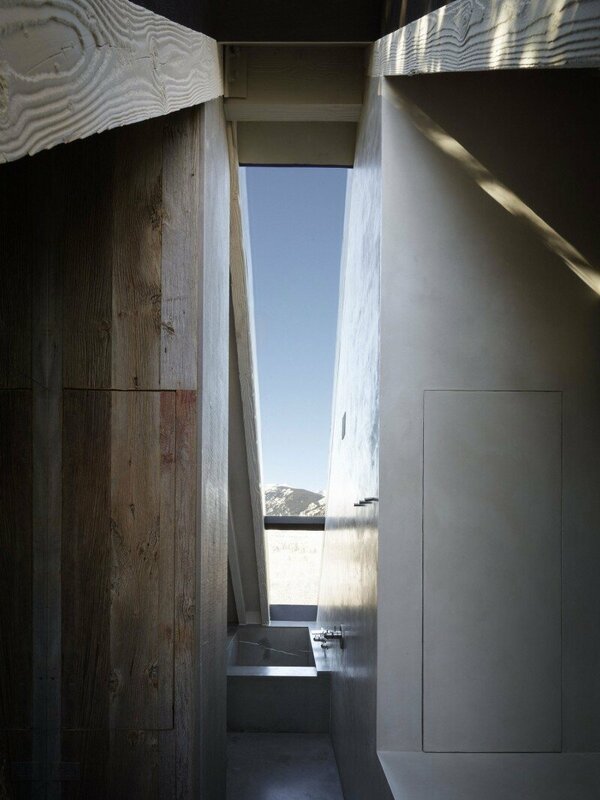 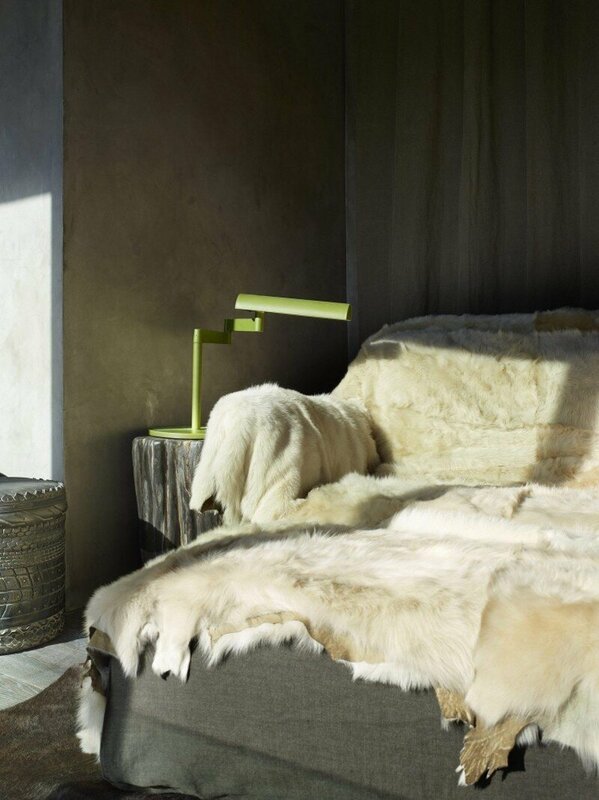 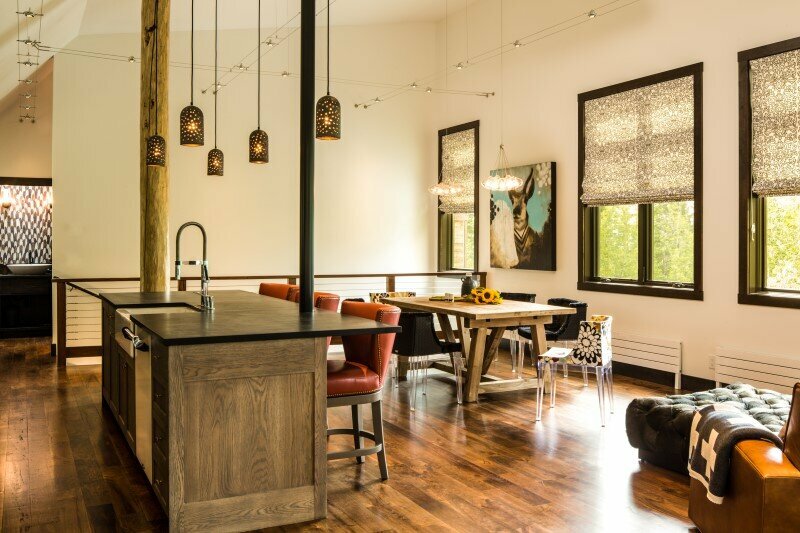 Description by Oppenheim Architecture: The design involved the complete renovation and minor addition to one of the first homes built in the ultra-exclusive enclave of Red Mountain in Aspen, Colorado. 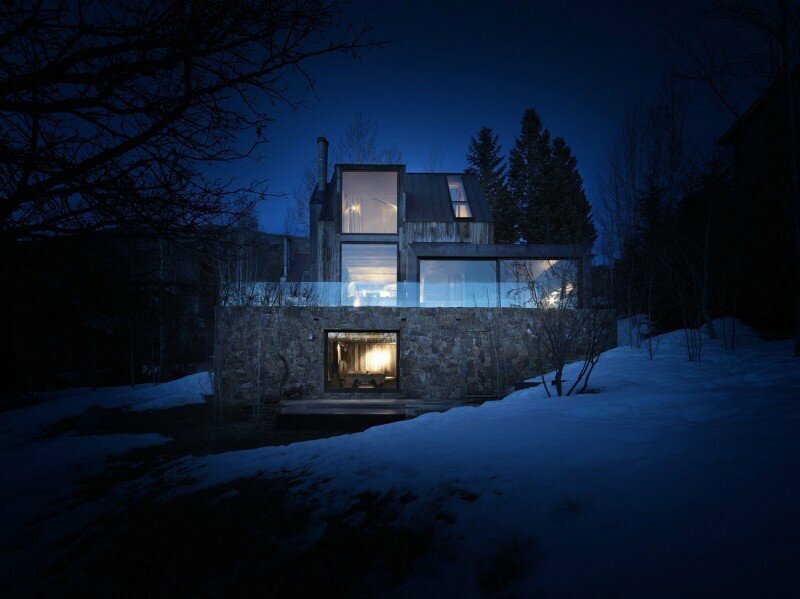 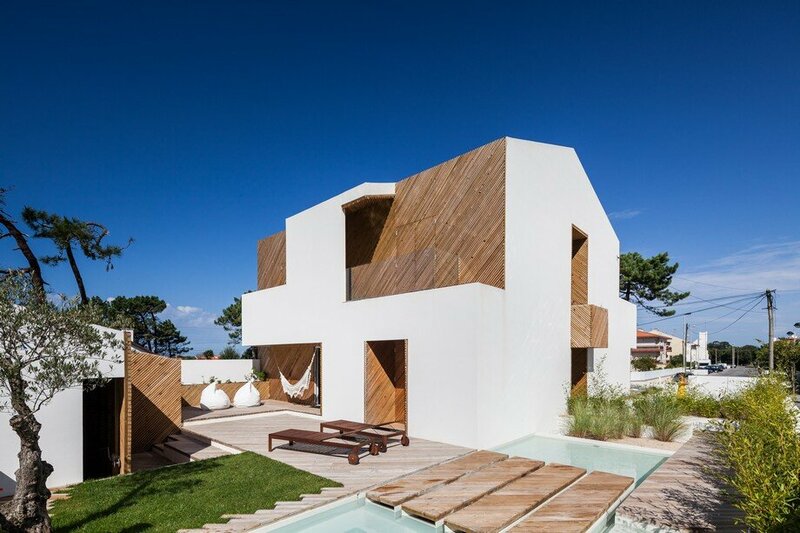 Thirty years of haphazard changes to the building had hidden the potential beauty and purity of this house. 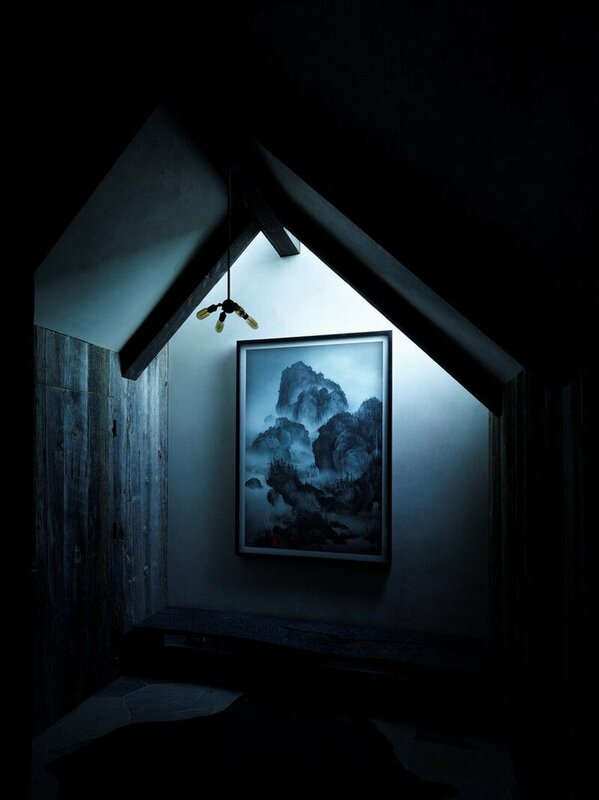 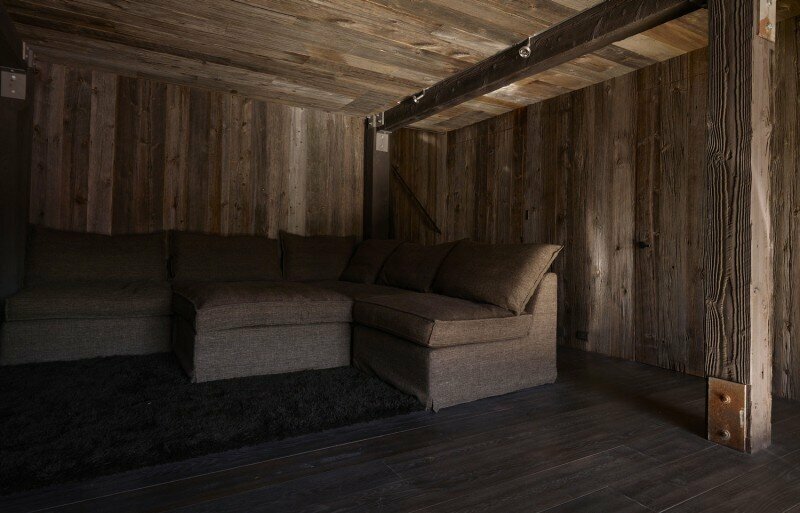 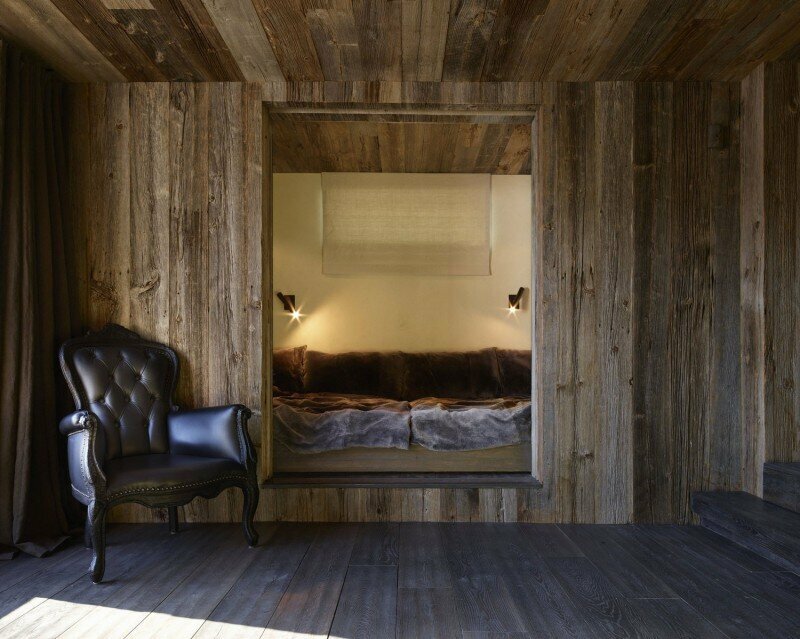 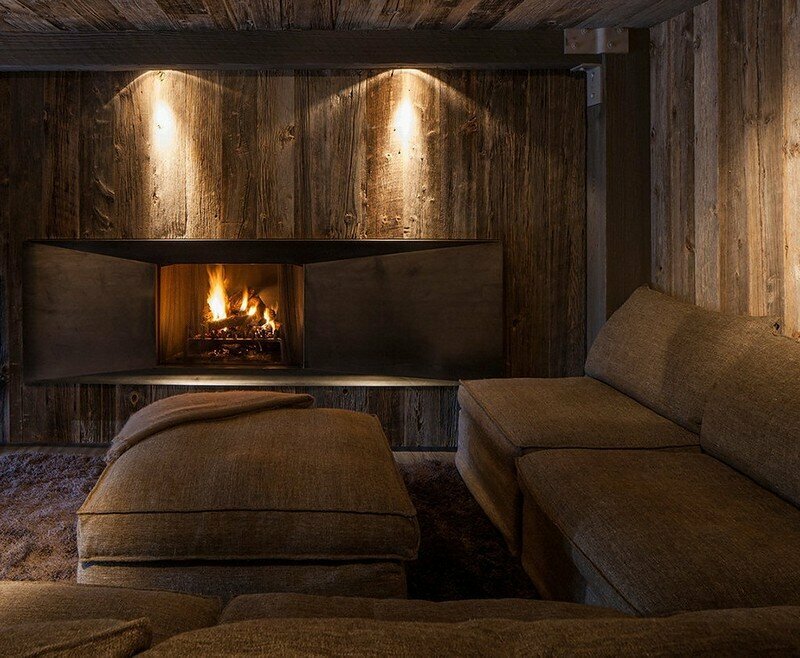 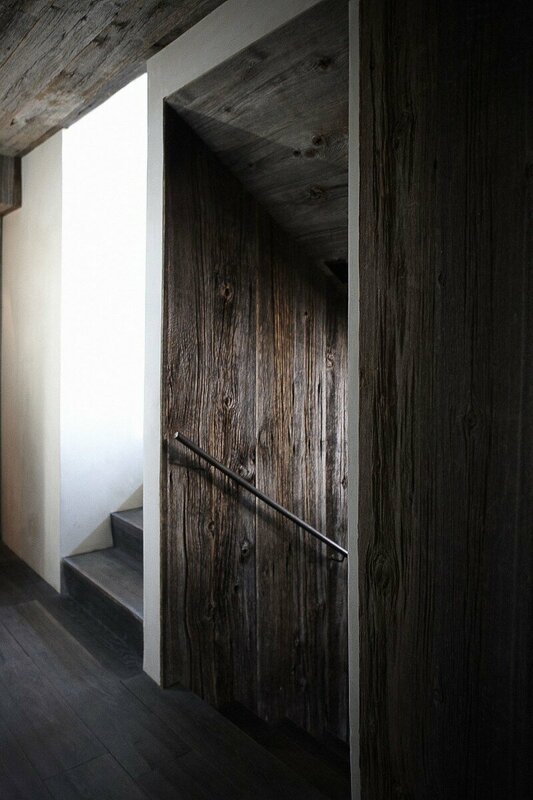 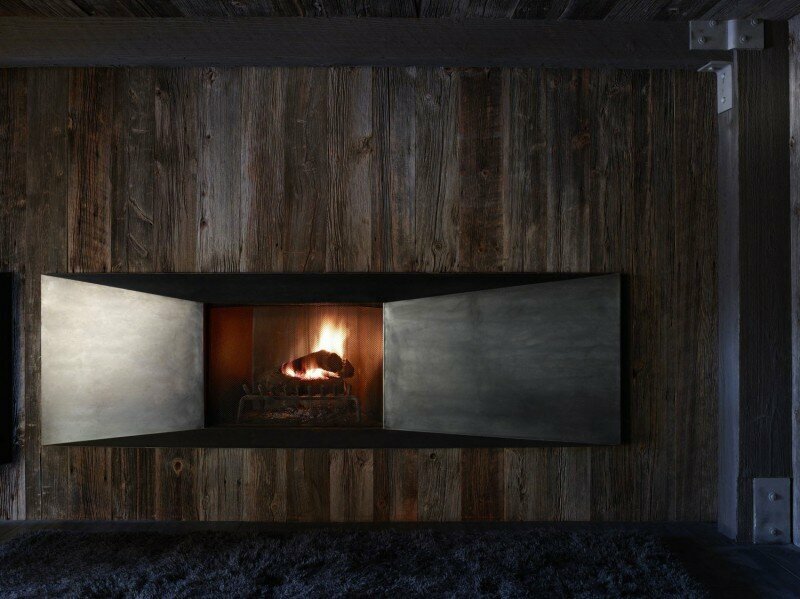 The new design restored and enhanced this rustic ski chalet with all its imperfections — an homage to the Japanese sensibility of wabi sabi. 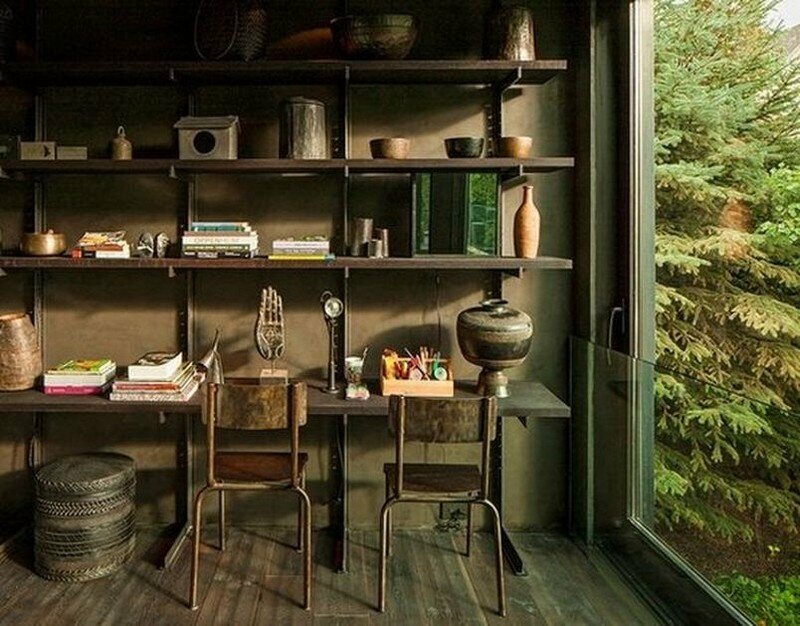 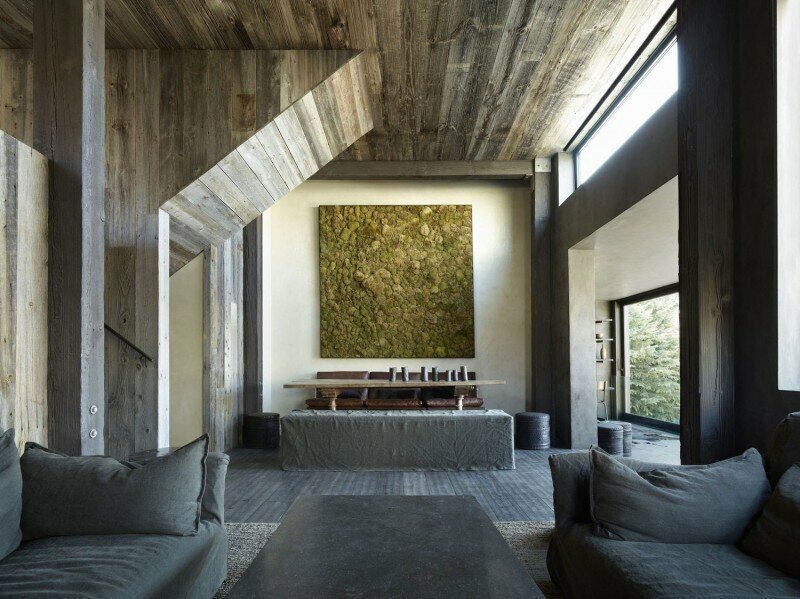 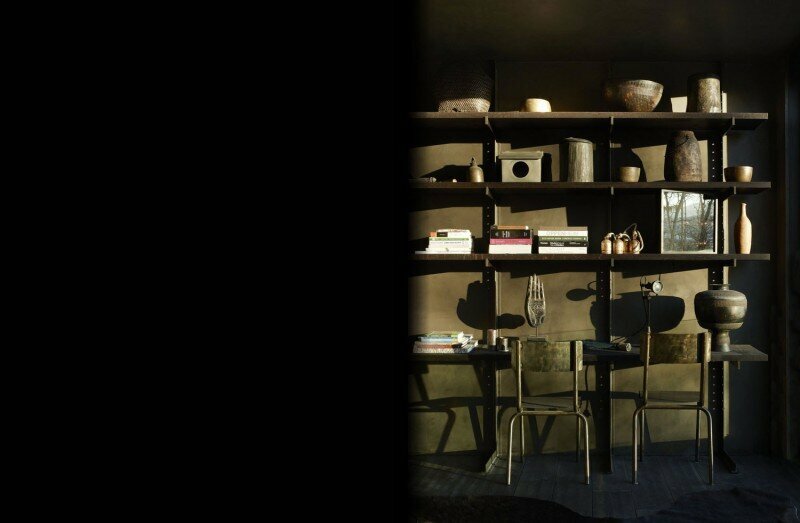 Now clad in reclaimed regional wood, stone, and weathered steel and copper, the home is intended to make a minimal impact on the natural resources and merge effortlessly with its idyllic surroundings of forest, stream and mountain. 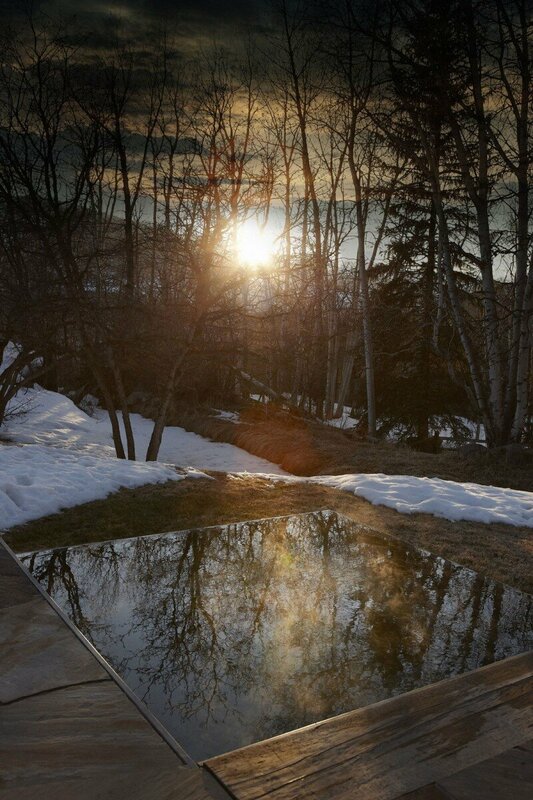 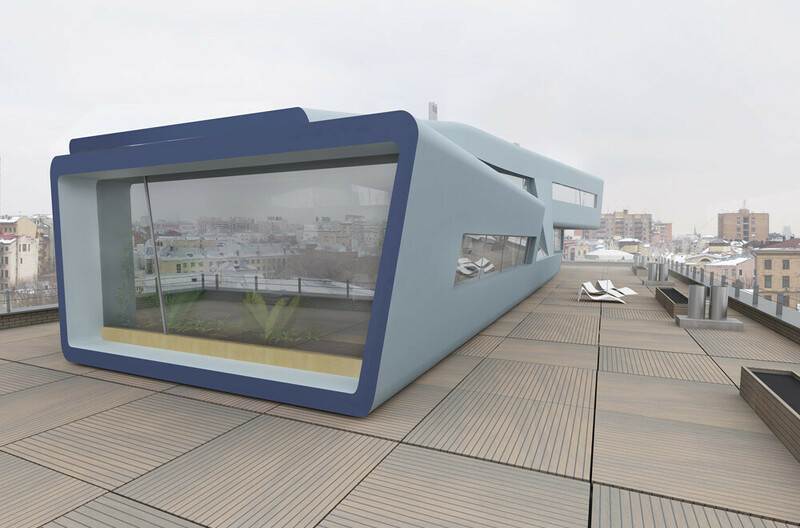 Solar collectors provide energy needed for power and hot water, while extremely large operable panels of insulated glass blur the boundaries between inside and out — further enforcing a connection to nature and deep respect of place.